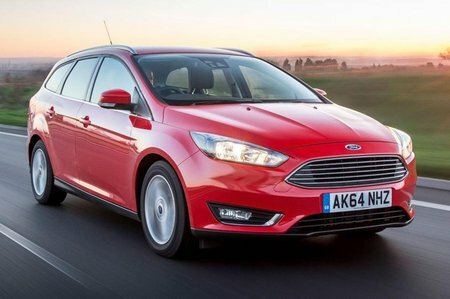 What's the used Ford Focus estate like? 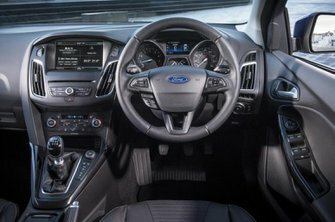 Think of the Ford Focus hatchback and your first thought will be of a lively and practical family car that is deservedly popular and has sold by the bucketload. The estate version of the Focus has always been popular with families, combining something of the style and driving behaviour of the hatchback while adding a bigger boot. In its first generation, the Focus Estate matched edgy styling with a spacious interior and it was great to drive. Its replacement followed the same basic recipe but grew to offer more interior space. This third-generation car improved efficiency further and bettered the in-car tech and materials in an attempt to challenge rivals such as the Volkswagen Golf that were perceived as being of a higher quality. The Focus Estate comes with a wide range of engines. The petrol line-up starts with an old 1.6-litre that has to be worked hard and isn’t particularly efficient. The newer 1.0-litre three-cylinder Ecoboost unit might sound like a small engine for a relatively large car, but comes in either 99bhp or 123bhp and is a capable and refined choice. There are also two 1.5-litre four-cylinder Ecoboost engines, both with more punch than the 1.0. Of the diesel options, the 1.5 105 is remarkably economical, while the 118bhp version of the same engine has more power and is more efficient than the cheaper, older 1.6 that’s also available. The 2.0 TDCi 150, meanwhile, is satisfyingly swift. Ford has even catered for people who want to take a lot of stuff somewhere quickly with the high-performance ST models. These are offered with a 182bhp 2.0-litre diesel or 247bhp 2.0 turbocharged petrol engine, both linked to manual gearboxes. The petrol model can match many sports cars for pace. For years, the Focus’s ride and handling prowess were legendary, but the driving experience of this latest car isn’t quite as rewarding as that of earlier models, as if the fun has been sanitised a little in the name of efficiency. It grips and handles well, though, and the steering is pleasingly light and direct, while the ride is comfortable and composed over urban ruts and potholes. The Focus Estate is a refined car, too, no matter which engine you choose, although wind and road noise are noticeable, especially at higher speeds. Slick five and six-speed manual gearboxes are the norm, but there’s an optional six-speed automatic gearbox that is generally good but can occasionally feel a little slow and dim-witted. Inside, the driving position’s excellent, although visibility can be an issue as a result of the car's thick pillars. Interior quality is acceptable given the car’s reasonable price, but many of its rivals feel more upmarket still. Space up front is good, but it’s a little limited in the rear seats, with a large central tunnel robbing rear passengers of some leg room. Overall, the Focus Estate’s main rivals feel more spacious. The Focus Estate’s boot isn’t the biggest for outright capacity, either; the Skoda Octavia Estate, VW Golf Estate and Peugeot 308 SW are all noticeably better. However, the Focus Estate’s load bay is still wide, with a low load lip and a flat, squared-off floor that will make loading buggies or other bulky items easy.